That’s what Democrats say when Republican legislators who ran as conservatives actually defend those principles and hold the line against larger government and old-style corruption. So far what we’ve heard is this legislative session will be quiet compared to the countless sessions of the last three years, largely because Gov. John Bel Edwards managed to buffalo the House Republicans into accepting tax increases large enough to accomodate at least some of his desires to grow state government. But as Edwards isn’t done trying to spend more money, the budget fight isn’t over just yet – the beginning of the session will be marked by acrimony over House Speaker Taylor Barras’ refusal, so far, to accept higher revenue projections that would allow Edwards to fund recurring expenses and rush the state toward another fiscal cliff. For a great discussion of that, check out the first episode of Hayride Radio, which was recorded on Friday and went live over the weekend – Barras and LABI president Stephen Waguespack were our guests. But that won’t be the focus of the session. For Edwards, the top priority will be passing a $1,000-per-head teacher pay raise, complete with a $500-per-head raise for school support staff like cafeteria workers and bus drivers. So far most legislators have said they’re for it – but the devil is likely to be in the details. We’ll see whether anybody tries to tie that pay raise to performance, or how the issue of local-vs.-state funding for salaries which are the proper province of local school boards is addressed, and so forth. You would hope that Republicans in both the House and Senate would drive some sort of bargain with the governor wherein he’s forced to give up something in order to buy that pay raise to pay off the teacher unions for their support – some sort of paycheck protection bill, or at least implementing a freeze on any union dues increase that would be automatically deducted from teacher paychecks so the unions would be forced to collect a dues increase themselves, ought to be in order. Because everybody knows what’s coming here; namely, that when the $1,000 pay raise comes the unions will raise their dues $100, and if there are 25,000 teachers paying $100 more in dues that’s $2.5 million in cash for political donations to Democrats in Louisiana starting with John Bel Edwards. If Republicans just offer up this teacher pay raise and don’t put any restrictions on Edwards funding his re-election campaign with our tax dollars, they don’t deserve to be re-elected – because they’re either too dense to understand how professionals play this game, or they’re in on the scam. This is a major test of leadership and resolve – if there aren’t the votes to kill the pay raise, and maybe it shouldn’t be killed, then it at least ought to be shaped in a way that Edwards gets no political advantage from it. 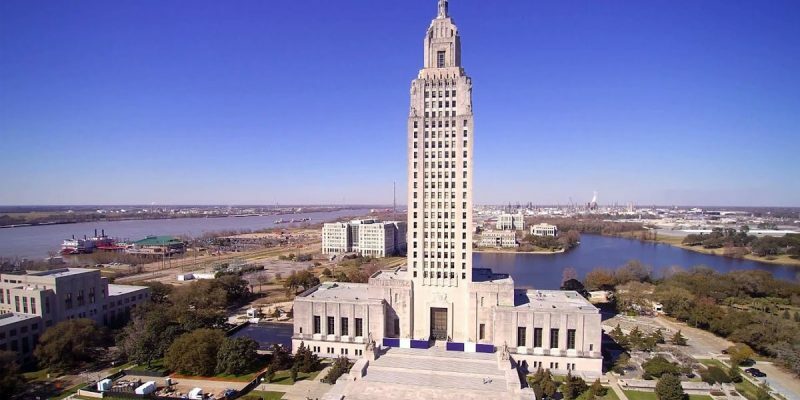 We’ll also see a great deal of discussion of car insurance, as Rep. Kirk Talbot is bringing an omnibus reform bill we’ve discussed which marries some long-sought reforms to Louisiana’s tort system to a mandatory rate decrease. Talbot’s bill is a long shot to pass, as the trial lawyers will fight the tort reforms tooth and nail, but it’s going to extract some pain from legislative opponents who will be marked as voting against lowering the highest auto insurance rates in the nation in an election year. That’s the kind of hardball politics required to ratchet those rates down, and Talbot’s efforts are worthy of praise. There will also be another effort at raising gas taxes to pay for road construction, and that won’t go anywhere – even Edwards is opposing it since he knows you can only raise taxes so much before the voters will make you pay on Election Night. Instead another bill by Rep. Mark Wright will address the problem that the state Department of Transportation and Development is funding its payroll and pensions out of the Transportation Trust Fund by mandating that those expenses be transferred to the state general fund in stages over the next four years so the TTF will go to pour concrete and pour concrete alone. Wright’s bill is also a long shot but it will make for a contentious fight as well. In the meantime there will be a continuance of the messaging wars between the Association of General Contractors and their related trade groups, namely the concrete and asphalt contractors, and Americans for Prosperity’s Louisiana chapter over the gas tax. AFP is wholly against the tax and the Louisiana Coalition to Fund Our Roads, the front group AGC and the concrete and asphalt contractors have put together to back it, is now attacking AFP as a bunch of out-of-state millionaires. This won’t likely end well for the roadbuilders. There is more. Sen. Dan Claitor has a bill to end the death penalty in Louisiana, which won’t likely pass seeing as though the death penalty is popular in the state and functionally it doesn’t exist anyway since nobody has been executed here since 2010. There will be some abortion bills, some Obamacare replacement bills, bills about alligators and almond milk and all kinds of other things. But the tenor of this thing cannot be a lovefest. Louisiana is in far too poor a condition for legislators to give out group hugs and go home. The session must be a spirited debate over a future which is slipping away with massive outmigration, economic malaise, collapsing infrastructure and failing governmental performance across the board. It’s time to fight. Do we have fighters? Previous Article SADOW: Exactly What Can LaToya Cantrell Learn In Cuba?